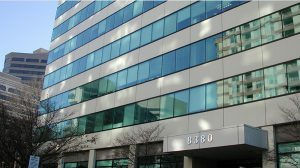 Blair Office Building, a seven-story boutique office building in Silver Spring, saw its energy use dive 20% with simple energy efficiency measures. 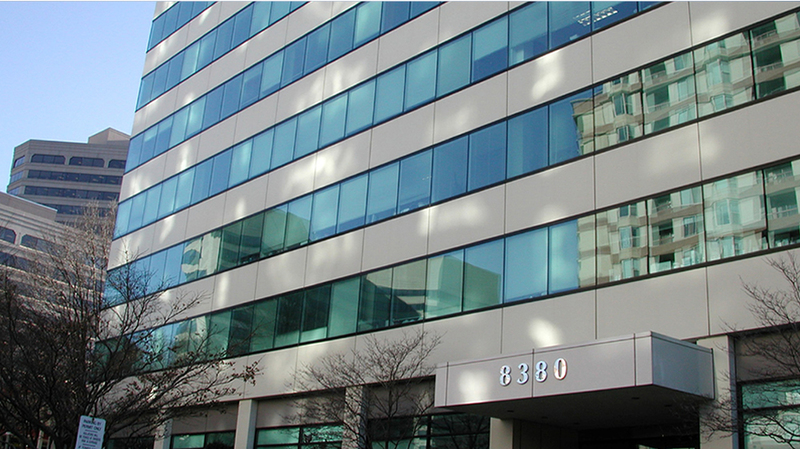 The Tower Companies in Rockville, Maryland are drawing attention to the business case for energy efficient retrofits and renovations with their Blair Office Building project in Silver Spring. Via support from the Maryland Energy Administration (MEA)’s Commercial and Industrial Grant Program, The Tower Companies were able to focus on low-cost energy conservation measures that yielded astonishing results: a $44,000 retrofit is returning $50,000 in annual energy savings. Energy efficient building upgrades reduce operating costs, which generates cash flow; and increase the overall value of the building or net operating income. Still most energy efficiency projects are routinely abandoned due to lack of budget and confidence from landlords. MEA coordinates with businesses from every industry throughout the State to realize enormous opportunities for energy savings and commercial growth. The Building Owners and Managers Association (BOMA) International has developed three classes of commercial buildings: Class A, Class B and Class C. The Blair Building, named after Silver Spring founder, Francis Preston Blair, is a Class C commercial building; meaning it is an older property with dated infrastructure and technology. Older class C office buildings, like the Blair, can take impressive energy performance leaps forward with very modest investments. Jim Lewis, Vice President of Engineering for Tower Companies, is well acquainted with the energy savings that lighting upgrades can achieve. Lewis began exploring how data analytics can help commercial building owners and operators better understand their energy use. Data derived from a building’s operating system can be leveraged to set new performance goals. The first step for the Blair’s upgrade was to implement real-time energy management, completed in 2012. The next step was working with an energy management consulting partner who could provide the mechanical engineering and building energy efficiency expertise to guide them in using the data analytics program, which enabled highly detailed year-to-year and time-of-day comparisons of energy use patterns in the 69,300 square foot building based on 15 minute interval electricity data. When the MEA 2015 Commercial and Industrial Grant Program was announced, Lewis was awash in building data and approached AtSite, his energy management partner, for ideas on effective energy conservation measures. AtSite’s deep knowledge of the Blair and its performance patterns enabled them to pinpoint measures with the potential for outsized energy savings. Thanks to real-time monitoring, it was possible to know within an hour if newly implemented changes to the system were actually delivering the expected savings. It was a powerful advantage and, as Lewis discovered, an addictive information stream for those willing to study it for clues to the next effective efficiency measure. Breaker level controls: Time of day controls were added to perimeter units. The controls were installed in the breaker room on each floor, with each breaker switch controlling four to six rooms. Variable frequency drives were added to loop pumps. Time of day scheduling was added to cooling tower and pumps. Lewis acknowledges that master level controls will not work for all environments, particularly labs and medical offices where occupant temperature control is paramount. However, for many office buildings, master level controls are a viable alternative to an investment of hundreds of thousands of dollars in individual controls. Eugenia Gregorio, Vice President of Strategy and Sustainability at Tower Companies, emphasized the importance of preparing building tenants for the transition to breaker level controls. Meetings with office managers were crucial to a smooth implementation. The energy and cost savings flow primarily from reducing the building’s night load. Gone are the days of lights left on in empty offices at night and over the weekend. Today, lighting and HVACs operate on a time clock, which allows a brief buffer beyond the leasing schedule before switching off. The schedule is changed seasonally and is manually changed on extremely cold nights. Service hours vary according to tenant needs floor by floor, while operation of the water-source heat pump is minimized; in the evening, the pump provides condenser water only to a single floor to serve a physical therapy office that runs until 11 pm. Troubleshooting issues with tenants was a key part of the process. While tenants were informed of impending changes to the schedule of the perimeter units, some did not consider the likely impacts of the changes and later reported their IT closets were getting warm. New spot coolers that run as needed in the rooms resolved the problem. Gregorio emphasizes that the MEA grant provided the incentive to undertake the project, and furthermore feels that the value of the project far exceeds the financial motivation. Energy efficiency projects are a boon to building managers and tenants alike who are interested in controlling rent and ancillary costs. The MEA Commercial and Industrial Grant Program began in 2010 and supports projects that improve the energy performance of Maryland’s businesses. To learn about the next cycle of the grant program, click here for more information.